Who are Heavenly Tasty Organics? Heavenly Tasty Organics is the brain child of Shauna Blair. Shauna has always been passionate about organic foods and nutrition. After the birth of her first child she noticed that there was a limited choice of baby food products that she found suitable to feed to her own baby. And after her second child she discovered that both children had food allergies and this limited the choice even more. Like most parents, the only option for her was to make all her own foods and turning her kitchen into a mini production line. Shauna, set about creating a healthy, guilt free range of organic baby foods using the best quality ingredients. The Heavenly brand began, starting with a range of gently blended frozen meals for babies and has now grown into a comprehensive range of products for babies, toddlers and children. Heavenly Tasty Organics sell organic baby snacks and currently export to 14 countries worldwide. We have chosen 3 markets as objectives for this year – Far East, Middle East and Europe. It’s great as it sets everything out. You might know in your head where you want to be and where you want to go but with the action plan you go step-by-step and you can also go back and amend your original objectives if need be and plan ahead accordingly. It’s definitely been a great experience, publicly presenting your company’s aims and objectives through export, hearing comments and feedback from the judging panel and other finalist, you can take those comments away with you and build on them. 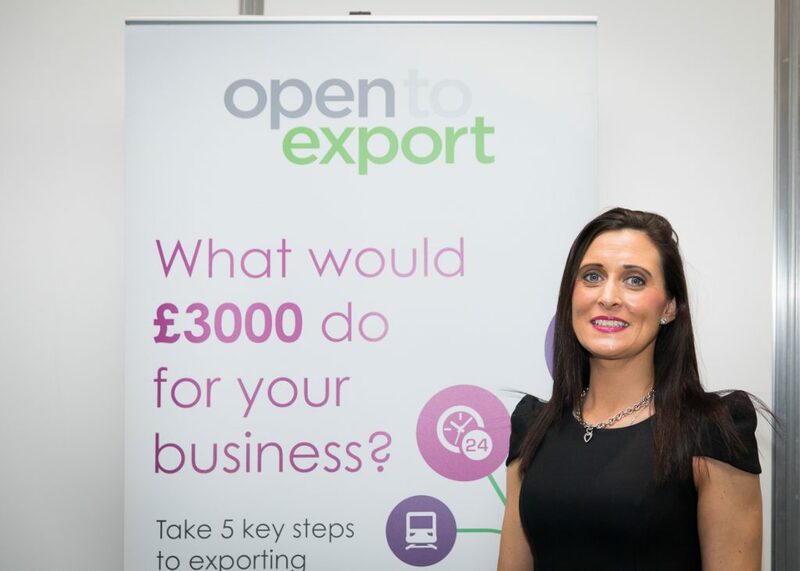 I would definitely recommend it to anyone considering exporting their business or service.